First Presbyterian Church organizes mission teams to serve at the Humanitarian Respite Center in McAllen, Texas, showing love in action for immigrant and refugee families crossing the border into the United States. A hot shower, a warm meal, and a caring and friendly presence serve to provide a Christ-like welcome to God's people on the border. Casa Marianella provides emergency shelter for adult immigrants by housing up to 35 immigrants. In addition to shelter, Casa offers access to legal and medical resources, food, clothing, English classes, and other resources. 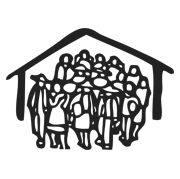 In addition to providing financial support, First Presbyterian Church also periodically serves dinner to refugees and asylum-seekers living at Casa Marianella at their Convivio events, as well as Christmas gifts of toys and clothing to immigrants who have arrived with only the shirts on their back. Su Casa de Esperanza is a non-profit family life program created to provide education to impoverished families living in a South Texas colonia for the purpose of enhancing their opportunities for fulfilled, abundant lives. First Presbyterian Church provides financial support to Su Casa de Esperanza.